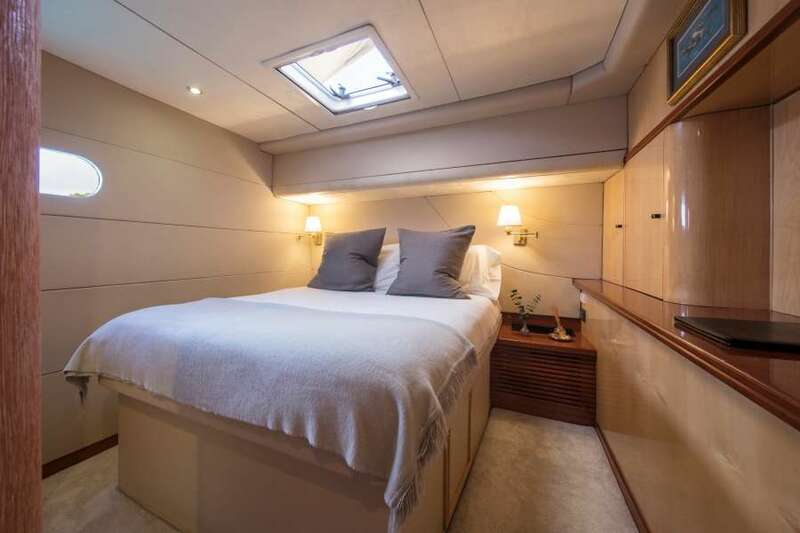 Kings Ransom is a crewed charter yacht which is impeccably built with stylish features throughout and a spacious layout maximized for comfort. 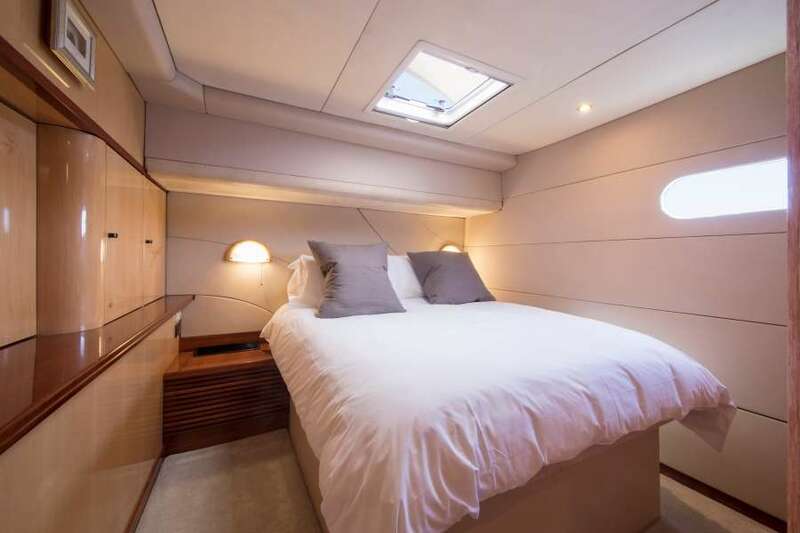 This luxury catamaran invites guests to enjoy the ultimate private yacht charter vacation in an idyllic setting set against the stunning backdrops of the dramatic British Virgins Islands. 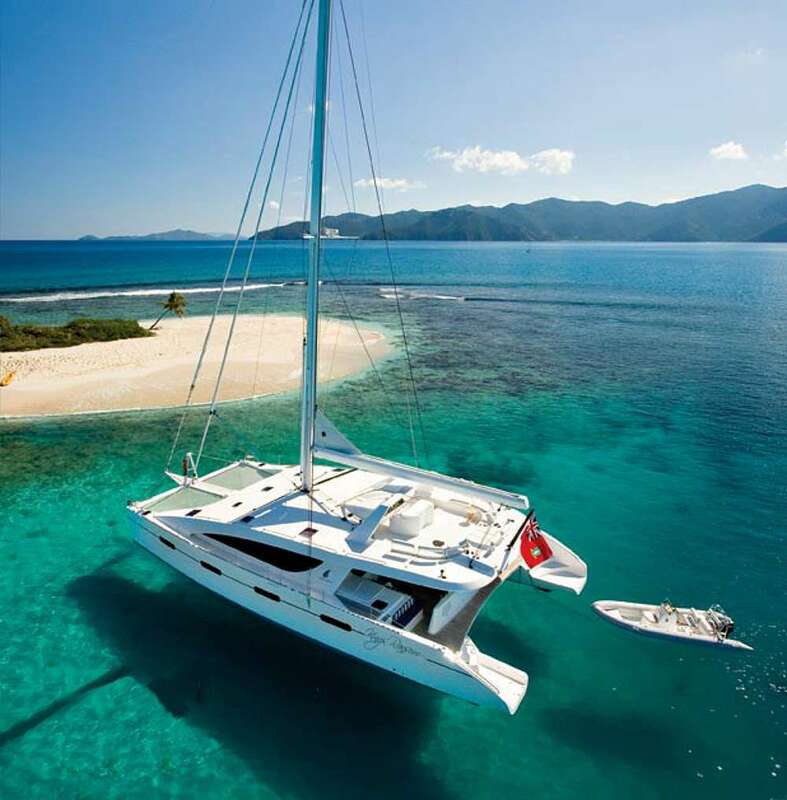 A sleek 76′ sailing catamaran from Matrix Yachts, she features a striking modern silhouette, chic contemporary interiors, and expansive deck areas. 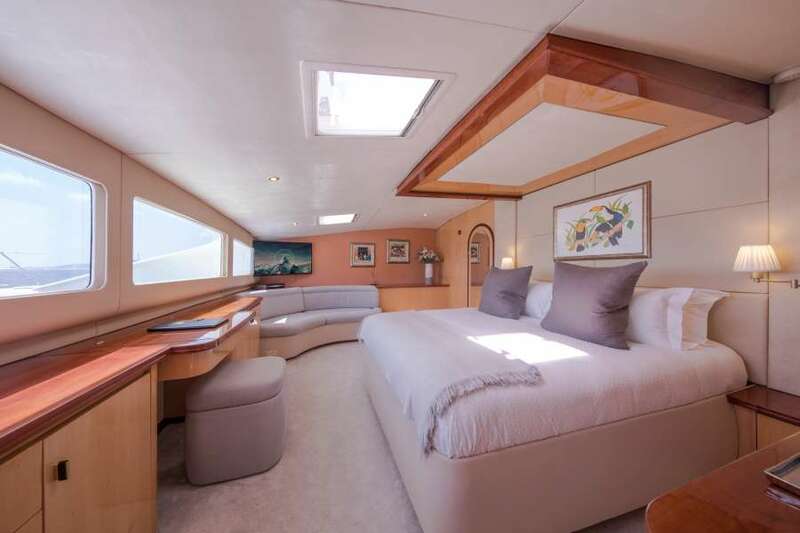 Crisp and clean contemporary living areas onboard charter yacht are bright and airy. 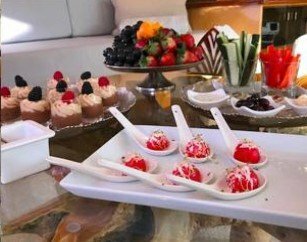 Brimming with an elegant yet casual atmosphere that lend perfectly to festive get-togethers and intimate gatherings. Ideal for entertaining and designed for comfort in mind, the amply-sized salon and dining areas feature a soft and soothing color palette, are stylishly-appointed, finished in the finest materials, and beautifully accented by designer artwork. 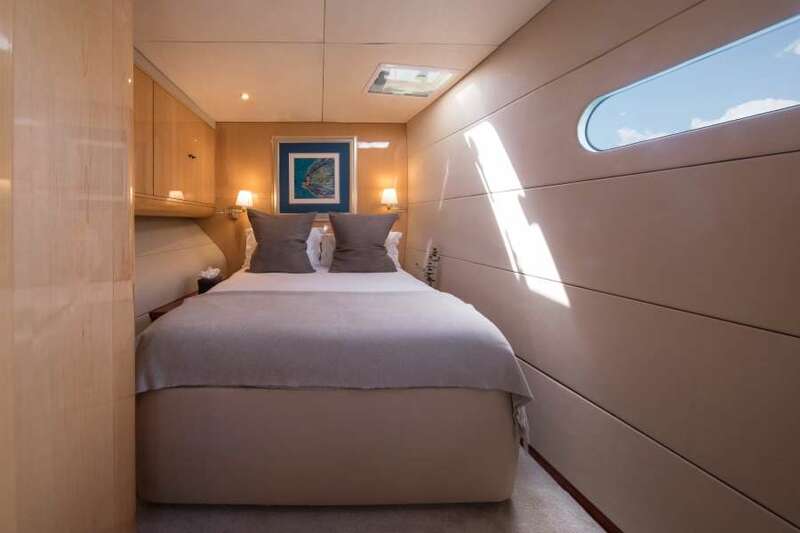 King’s Ransom features a main-deck, king-berth, master suite, and 4 queen berth guest suites. 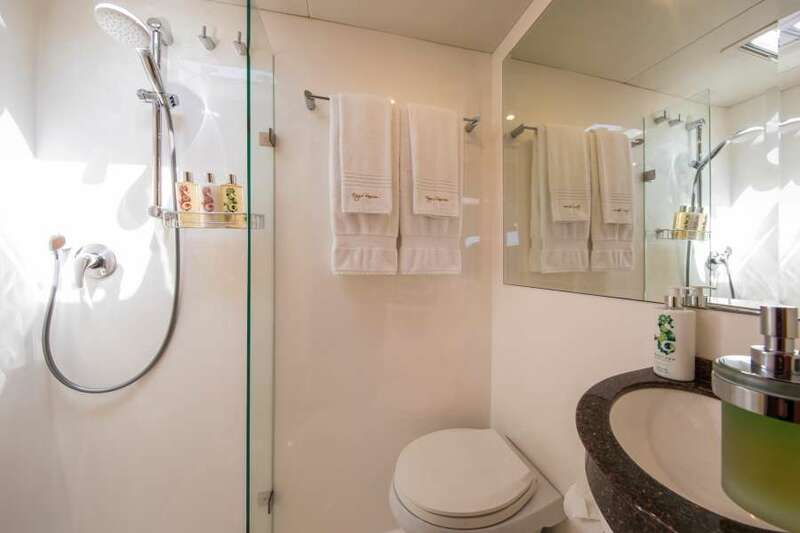 The midships starboard queen suite may be converted into two twin berths. 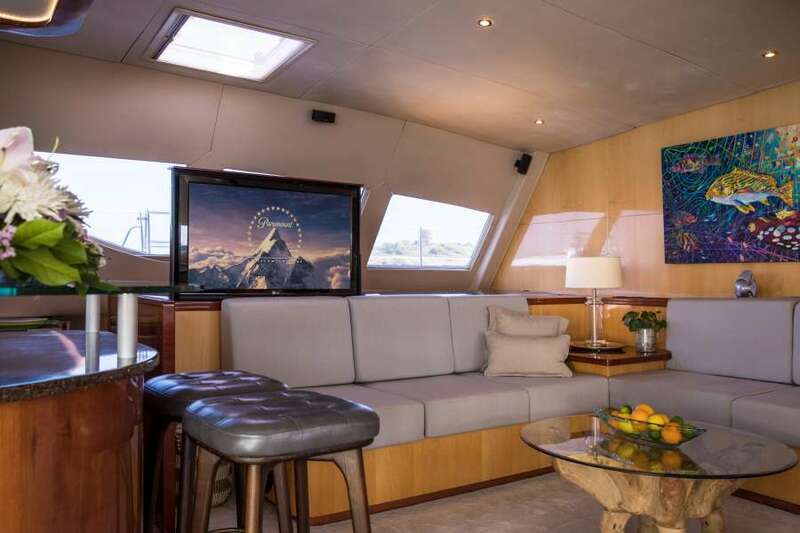 All the guest heads are electronically operated and this luxury yacht is fully air-conditioned throughout and each guest suite has its own flat-screen TV & DVD player. WiFi is available throughout King’s Ransom. Shakshuka- Poached eggs in peppers & tomatoes sauce, smoked sausages. Eggs Benedict, Brioche, sautéed Portobello mushrooms & hollandaise sauce. Muesli- fresh fruits, granola, yogurt & date honey. Lamb koftas wrapped with eggplants in tomato & basil sauce, Baked potato and Rosemary. We want you to know that our cruise was the BEST EVER trip we have ever taken. It was a blast! I can’t believe I was worried about the children running out of things to do and our family being too close for a week to ever speak to each other again. Quite the opposite! You kept us moving discovering,playing, sightseeing,shopping, doing card tricks and eating (Oh yes, we did enjoy eating at breakfast, lunch, snacks and dinner). 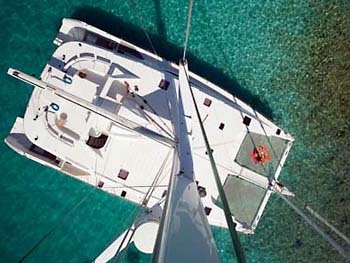 You kept our itinerary running smoothly for the whole family – all ages, all interests and all already formed ideas. A time for everybody and that’s not easy! You never disappointed, only impressed. We hope to catch up with you one day and continue our new friendship. 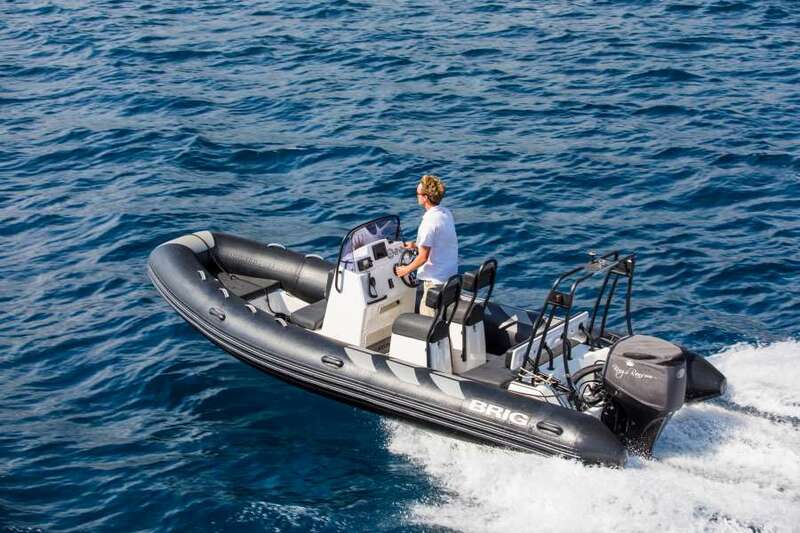 Best of luck on the Med and on your new boat. Keep in touch. Bobby, Mary, Bonnie, Tom, Thomas, Connor, Mary Louise, Reese and Gracie. We had a wonderful time!!!! Love love the crew! They were fantastic. Harley had two ear infections and the crew was so wonderful with her. Just can’t say enough. Niki is a wonderful chef. Food was fantastic. We enjoy every morsel. The BVI’S were just breathtaking. 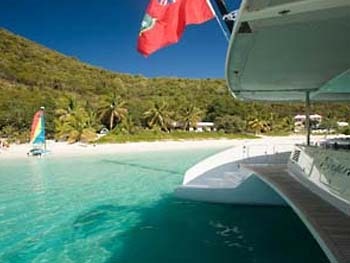 The perfect recommendation in both….Kings Ransom and BVI’S. The boat was not only perfect but so much fun. Thank you for that!!!! We are not home yet, we are all travelling American Airlines and the entire airlines shut down. We are stuck in San Juan for the night. The trip was one we will never forget and will have many wonderful memories. 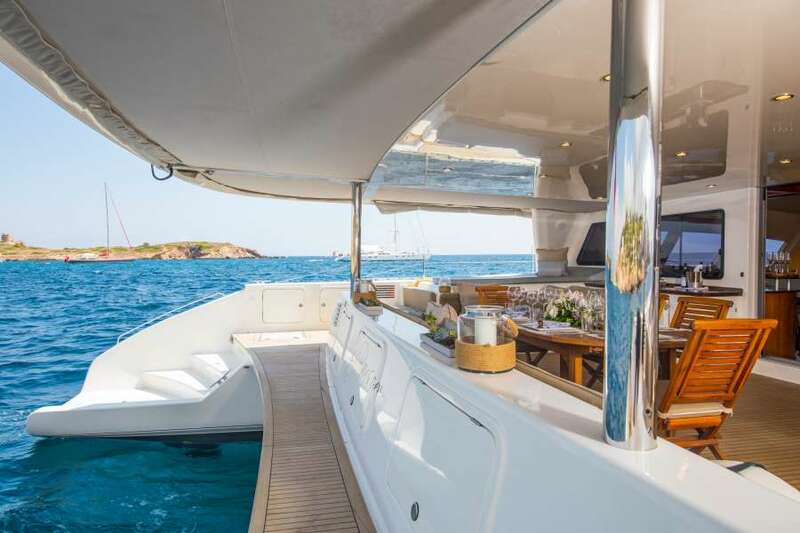 I am happy to report that the 2013 charter was extremely successful and, after fourteen consecutive programs involving yacht charters, this one was possibly the best yet according to many of the repeat guests. A great deal of coordination, cooperation and willingness to help on all fronts was shown by all the crews and Pete and Niki did an excellent job both before and during the charter. 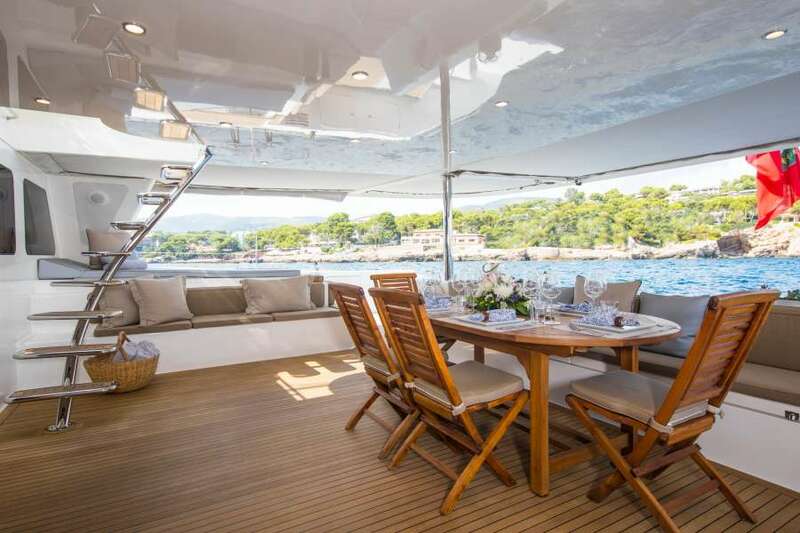 Their thorough attention to the details of the charter and the needs of all the guests plus their helpful communication was much appreciated. 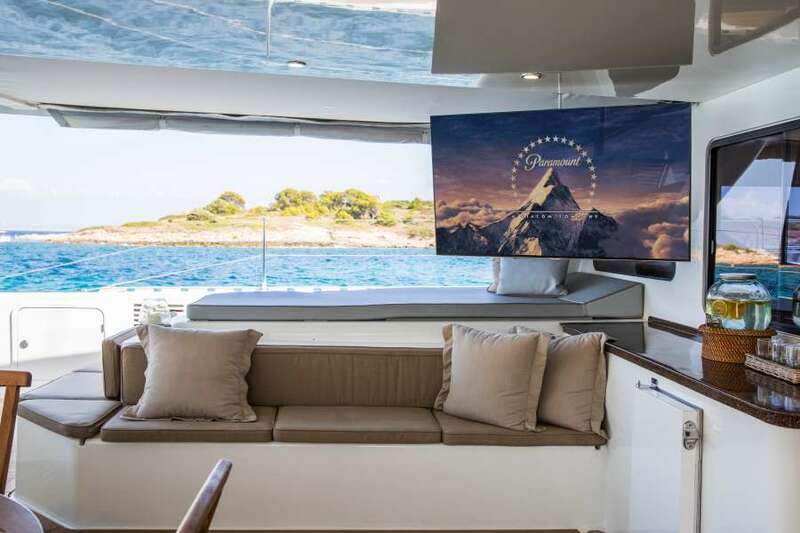 Their enthusiasm and often humourous attempts to engage the other yachts in friendly competition helped foster a fun spirit throughout the catamaran fleet. 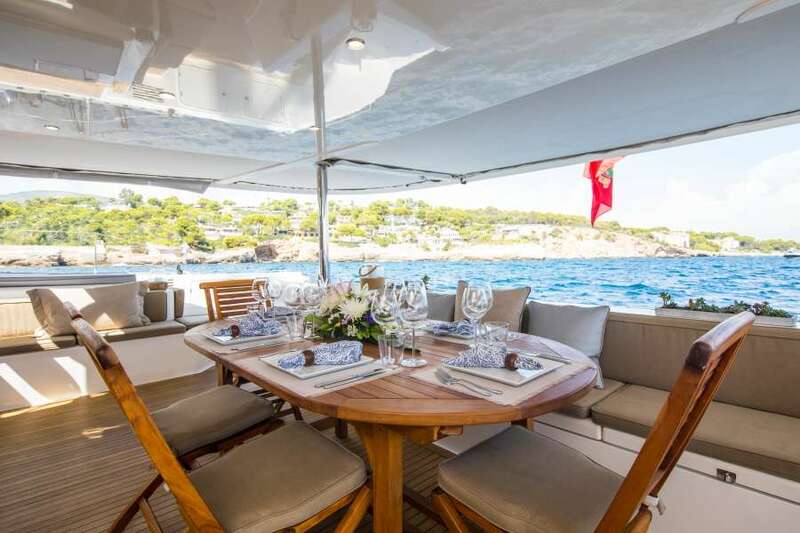 It is well known that this charter places a great emphasis on dining and, with guests switching yachts for dinners, stimulates a good natured and unstated competition amongst the yachts. 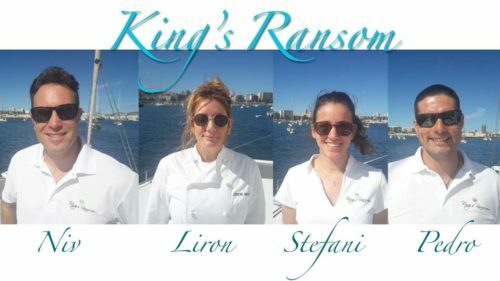 Niki and everyone on Kings Ransom did an outstanding job and received great comments from both their home guests and those that visited for dinner on the dine-around nights. This feat is not to be taken lightly considering the competition throughout the fleet. 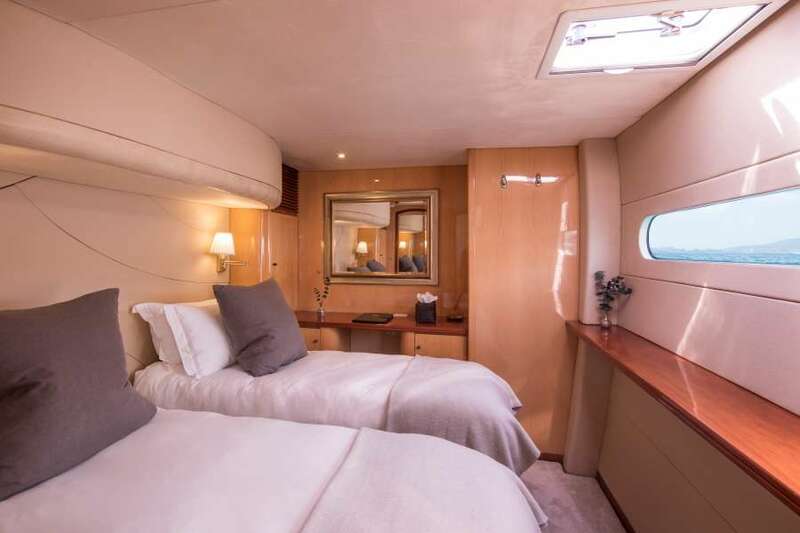 We have received emails and letters from the Kings Ransom guests saying how wonderful the crew were and how happy they were with the yacht, the meals and the service. 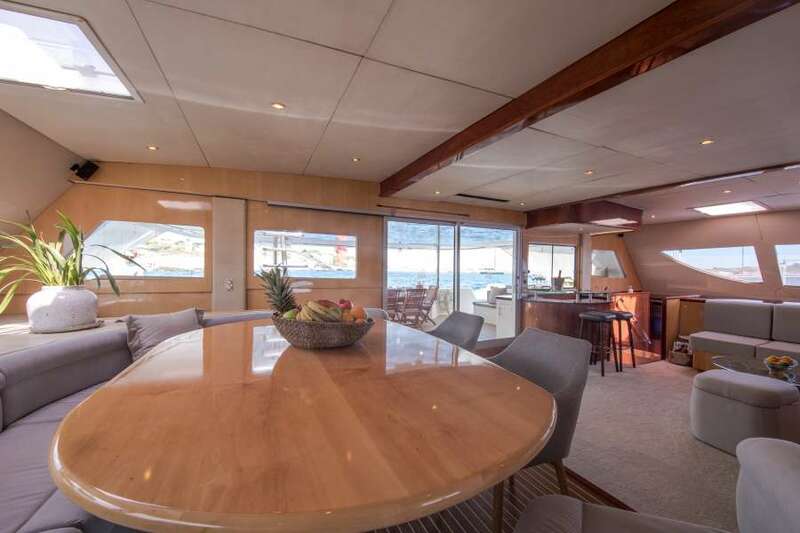 Kings Ransom and her crew did a great job throughout the program and I will be pleased to provide positive references and recommendations for the yacht and the crew. 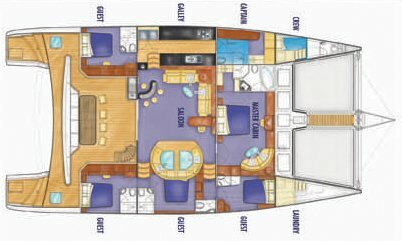 We will be pleased to have Kings Ransom, Pete, Niki and the crew on future charters for these and any other clients. Thank you again to everyone in the Kings Ransom family for such excellent service. Thank you both very much for creating a very enjoyable atmosphere, your services were very professionally carried out and we cannot think of anything that Yourselves and/or Andy along with Sara could have done to improve the enjoyment of our treasured vacation. With some Children as Guests, Banter was more or less a perquisite of the package, but the banter that you both gave to the Children was clever and thoughtful, and it came across as, you both genuinely enjoying your success at making some Childrens eyes and mouths wide open. Pete: based upon our day to day dealings, you are definitely a Class Act you made us feel very much at ease, and secure in the knowledge that we were in very safe hands. Your Parents must be very proud of you; we have never regretted not having a Son; however one in your mold would have been a blessing (Yes Yes Niki roughly speaking you would have made a great fourth Daughter). I have not mentioned Andy or Sara much above, as a separate letter is going to them, it goes without saying that they both served you well, With regards to the Children, Andys entertainment efforts were well over and above the line of duty. His interaction with us was excellent. 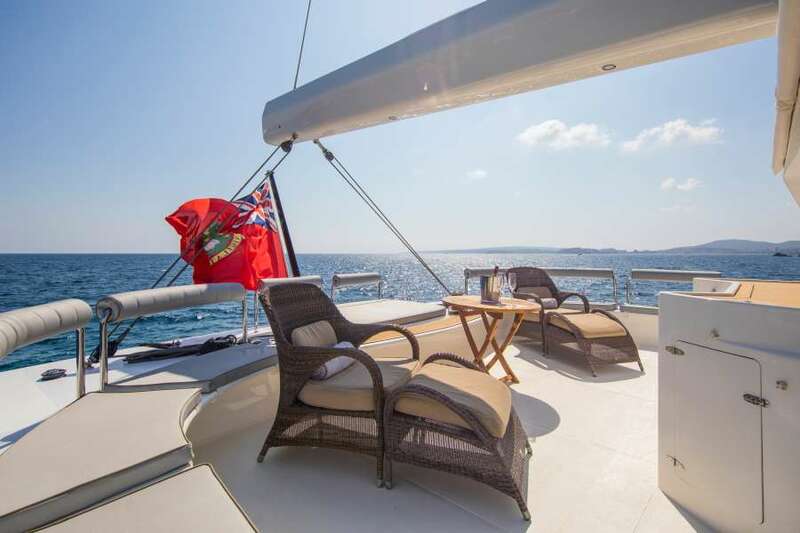 Safe Sailing, have a well-earned holiday back in England, Niagara Falls is only sixty miles from our home so if next July/August you would like to visit us please do not hesitate to email us, only cost to you- your airfares, VIP upon landing & leaving our nearby Toronto International Airport. I cannot think of a better way to spend Christmas than on the Kings Ransom with my family and this brilliant crew. All ten of us from Max (2 yrs) to Murray (70+ yrs) have had the trip of a lifetime. Everything (and I mean everything) was First Rate. The cabins were as good, if not better than a five star hotel. The attention to detail provided by each of you was more than we could have hoped for. I dont know if we could have fit one more activity into our trip. The scuba diving was a real treat. However, what we enjoyed the most was spending eight great days with our family in the beautiful BVIs, knowing that our every need and want would be taken care of by the most competent Euros, Emily, Arnold & Rica. Thank you for the best vacation that we have ever taken! Everything exceeded our expectations! Kings Ransom is incredible, Emilys food was spectacular. The activities, diving and snorkelling were phenomenal. Every day just got better and better, ending with an extraordinary show and performance by whales, Ricas slide show of our week and Euros trumpet playing at the Last Resort! Wow, what a way to end our vacation! Thank you again for your hospitality and a week that we will remember forever. We were never told “no”. 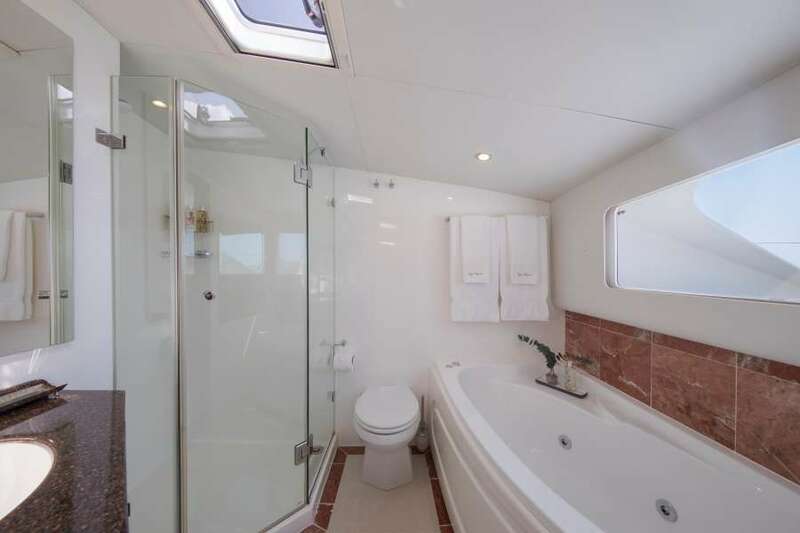 The yacht was beautiful, spacious, and very clean. We had AC on all the time. Never felt hot. A gourmet meal every time! Yes, we told the Capt. where we wanted to go and even though we did not have a lot of time he made it happen. 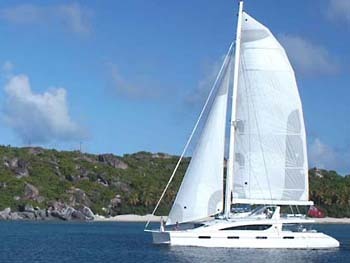 There were some questions that VI Sailing did not know the answers to. The crew made the trip. This is definately a “Can Do” vacation. They were extremely accomodating and friendly. We had 3 small boys and they were VERY upset when the trip came to an end. We will definately be coming back! Thank you Euros, Emily, Arnold, and Rica!